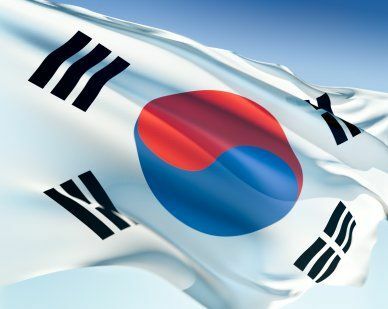 The Republic of Korea was formed in 1948 and the South Korean flag was adopted on January 25, 1950. The flag was designed in 1882 during the reign of King Gojong. The flag was named Taegeukgi, meaning great polarity. This name comes from the center emblem design that uses yin and yang balance to represent dual forces. These dual forces show complementary opposites such as positive and negative, night and day, male and female and good and evil. The four trigrams or black line formations used to surround the center emblem represent the elements of fire, water, earth, wood and metal. Our top-quality South Korea flags conform to all official specifications. Emblems and designs are executed with the highest possible degree of accuracy in regard to detail, color shades, placement and proportion to flag size.